The Central Bureau of Investigation (CBI) has arrested eight people, including senior executives of banks and housing finance companies, for giving loans to private builders after taking bribes. Those arrested include LIC Housing Finance CEO R R Nair, Life Insurance Corporation Secretary (Investments) Naresh K Chopra, Central Bank of India Director (Chartered Accountant) Maninder Singh Johar, Bank of India General Manager R N Tayal and Punjab National Bank Deputy General Manager Venkoba Gujjal. CBI also arrested Rajesh Sharma, the chairman & managing director of Money Matters Financial Services (MMFSL), a non-banking finance company specialising in debt syndication, and two other executives, Suresh Gattani and Sanjay Sharma. According to media reports, a first information report filed by CBI with the Bombay High Court named over 20 corporate houses, but not as accused. They include Lavasa, Emaar MGF, Oberoi Realty and DB Realty. Other companies whose dealings with MMFSL have come under CBI’s scanner include the Jaypee Group, JSW Power, Pantaloon, Adani, Religare, BGR Energy, Ashapura Minechem and Suzlon. 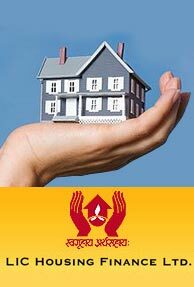 LIC housing finance has issued a press release wherein they have stated that all procedures and appropriate due diligence was followed for all the loans provided and they stand as performing asset thus far. LICHF also said that its exposure to builders is around 11.3% of total loans as on October 2010 and GNPAs from this portfolio stand at around 0.08%. Comments from bankers and ministry officials indicate that this is a bribery case and not one relating to systemic risks. However, the news is sentimentally negative for all the financial institutions and companies concerned. It is also the expiry week the above mentioned stock will show the downturn and VPSADVISORY SERVICES suggest to sort the above stocks.